In what’s turned into the biggest space news of the day, today ESA (and that’s pronounced “eesa”, you don’t need to spell it out) announced that the Italian-run radar experiment aboard its Mars Express orbiter has provided the first good evidence of liquid water present beneath the surface of Mars’ south pole. It’s an underground reservoir of water! The layer of water is shallow—to even have been detected it must be at least several tens of centimeters—sediment-laden and located 1.5 kilometers (about a mile) below the surface, but is fairly widespread within the 200-km area scanned with ground-penetrating radar. The entire “lake” region is at least 20 km across. 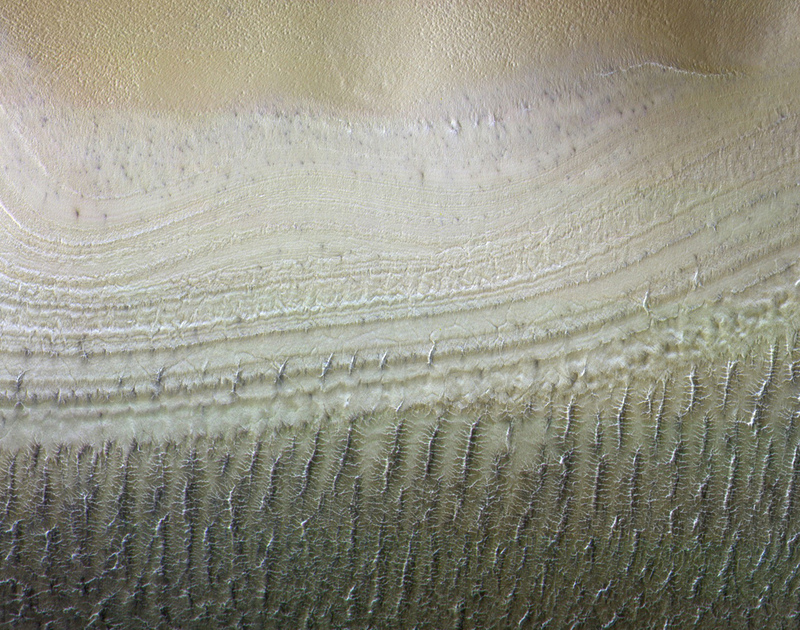 “This is just one small study area; it is an exciting prospect to think there could be more of these underground pockets of water elsewhere, yet to be discovered,” said Roberto Orosei, principal investigator of the MARSIS (Mars Advanced Radar for Subsurface and Ionosphere Sounding) experiment and lead author of the paper. Read the paper on the team’s findings here. Read more about this from the European Space Agency here. Next Post Happy Opposition Day!